Mark Alexander, PhD – 100 Black Men of America, Inc.
Mark Alexander, PhD is an epidemiologist who is committed to improving health outcomes of marginalized communities. Dr. Alexander’s research interests include: cardiovascular disease, geriatric epidemiology and child health. He is currently the Executive Director of Youth Movement, a community based initiative dedicated to improving the health, fitness and well being of Black children. The effects of racism and social class on health are of particular interest to Dr. Alexander. Dr Alexander worked as research scientist at the Division of Research (DOR) Kaiser Permanente Northern California and also was the Assistant Director of the Medical Effectiveness Research Center for Diverse Populations, University of California at San Francisco. He has published in the Archives of Internal Medicine, the Journal of the American Medical Association, the American Heart Journal, and other peer reviewed journals. He is a member of the Board of Directors of Oakland & the World, a nonprofit organization, dedicated to launching for-profit businesses for ownership by formally incarcerated people and other people facing extreme barriers to employment and economic survival. He is an advisor to numerous community organizations in the San Francisco Bay Area. 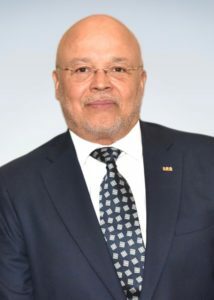 Dr. Alexander is the Secretary, and member of the National Executive Committee 100 Black Men of America, and a leader of the Health and Wellness Committee of 100 Black Men of America. Dr. Alexander lives in Oakland, California with his wife Olivia.